Driving distorted guitar riffs backed by complex polyrhythmic drumming and a warped dub-style bass provide a darkly dense foundation for the haunting vocals and brassy overtones that combine to give the South African band BLK JKS a unique genre-breaking sound. While paying homage to many widely familiar styles of African and African diasporic popular music such as afro-pop, reggae, hip-hop, afro-beat and highlife, the band cleverly blend and disguise these styles with a new harder edge. Although often labeled as indie, psychedelic, or progrock and compared to bands such as TV on the Radio and Vampire Weekend, these four musicians from Johannesburg have created a distinctive sound of their own. While plugged into the global media, influenced by such bands as Sonic Youth, Smashing Pumpkins, and the Doors, BLK JKS are well aware of their local African heritage, and use its musical palette to create a refreshing, vibrant, and relevant style of afro-rock fusion that is unlike anything presently coming out of Africa or any other corner of the globe. BLK JKS was formed in the wake of South Africa’s oppressive Apartheid era, in a city (Johannesburg) that was at the epicenter of this racially motivated set of policies that plagued this country for several decades. Today, Johannesburg remains a dangerous, crime-ridden, politically charged environment, with racial tensions that still brew beneath the veneer of new integrative policies. The sharp economic disparities and class divisions that exist within its littered streets offer a fertile landscape where artists such as BLK JKS draw inspiration. The band has described their performances as a “sonic exorcism,” which addresses the negative social forces that remain active in their hometown. The aggressive, mangled guitar crunches combined with a rhythmical flurry of percussive crashes on their album After Robots seem to express the anger and frustration that many Black South Africans may harbor in regards to their past and continued mistreatment in their own nation. Sung in a ghostly reverberant legato, themes of racism, recovery, and reconciliation echo through their socially conscious lyrics. 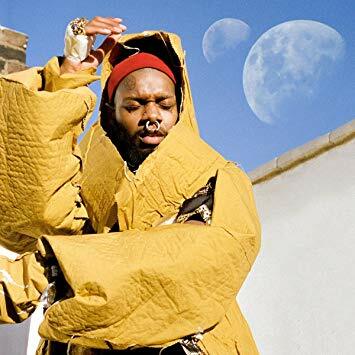 In this way, BLK JKS’ music offers a rebelliously youthful catharsis for individuals in, and outside of, South Africa who continue to wrestle with racist stereotypes, economic hardships, and many other ills of modernity. 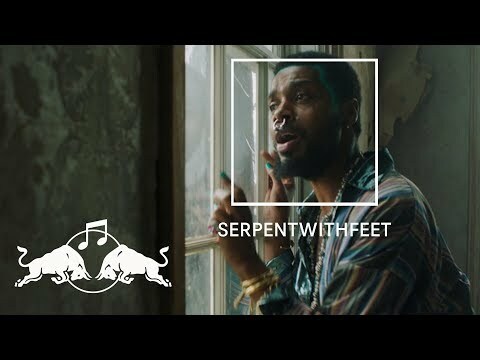 Conversely, their innovative use of a diverse range of musical elements breaks down social and sonic barriers, pointing the direction forward by forging a path lined with new artistic possibilities. Thus, while accounting for the darkness in their nation’s past, BLK JKS also offers hope and optimism for a better future, voicing this message in both English and Zulu. Founders Mpumi Mcata and Lindani Buthelezi, who grew up on the same street in “Joburg,” began experimenting with rock music from an early age, and later officially formed BLK JKS in 1999. Primarily self-taught, these teenage rockers developed a unique sound that attracted more established local South African artists such as bassist Molefi Makananise and drummer Tshepang Ramoba who were originally hired only as session musicians, but quickly became permanent fixtures in the group. After nearly a decade of struggling for nightly gigs in Joburg, their sound grabbed the attention of an American DJ known as Diplo, whose connections led to the recording of BLK JKS’ 2008 EP Mystery. This album was well received by the underground club and indie rock scenes in New York and eventually spread throughout the U.S., helping the quartet snag a record deal from Secretly Canadian (an indie rock label based in Bloomington, Indiana). The ensemble traveled to Indiana to record its first full-length album in the winter of 2008. After Robots was released in September of 2009 to a fanfare of industry buzz and critical acclaim from the likes of NPR and Rollingstone (to name a few). The group had previously gained recognition this past summer as a featured act at the popular South by South West festival in Austin, Texas. BLK JKS are currently on tour in the U.S. and will soon head to Europe. 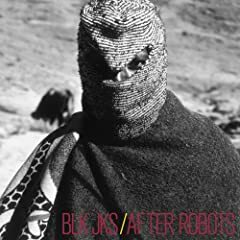 In all, while this band, whose sound is often characterized as a chaotic yet controlled, complex, wash of individual solos, may not be for those seeking another soothing afro-pop serenade, BLK JKS’ After Robots offers an inventive energetic soundscape that will challenge listeners to re-imagine African popular music.